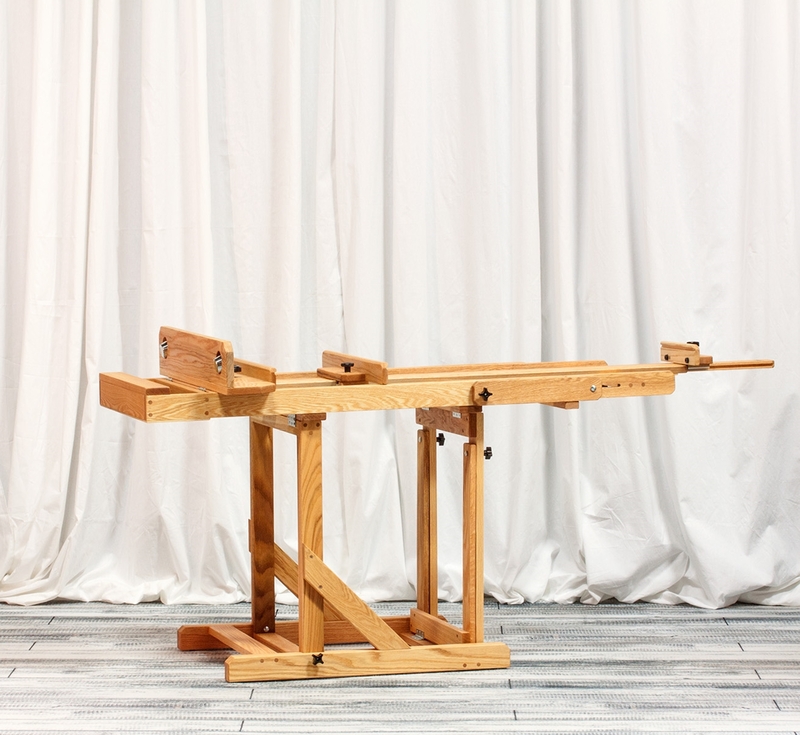 Best European Easel - Solid! Strong! Beautiful! Quickly adjustable, this easel accomodates a wide range of media, from flat watercolor work to a forward tilt for pastels. Can hold canvasses up to 84 inches high. Includes a middle painting tray for smaller work. 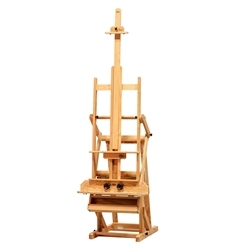 Minimum easel height 75 inches, maximum height 120 inches high. Base measures 24 inches wide by 30 inches deep. Front locking casters are optional. By adjusting a few knobs, the easel can be positioned to any desired angle for the medium of your choice. The 30 inches wide deluxe painting tray provides rubber cleats to keep canvasses secure, 2 small stainless steel solvent cups and an area to rest supplies. While the easel is in a horizontal position, there is a 20-1/2 inches x 5 inches well for supplies. Each BEST Easel is made of American oak, sanded to a smooth surface, then hand-rubbed with oil to reveal the inherent beauty of the wood grain. The craftsmen at BEST nail, glue, and wood screw every joint, guaranteeing strength and precision. Only the highest quality hardware is used as these easels are constructed to last a lifetime. The shipping cost of $99.00 applies to most areas of the 48 contiguous states.